6,512 feet above sea level. Transition zone between semi- arid and mountain, summer daytime temps in the 70’s and 80’s, nighttime lows in the 50’s. Approximately 15,000 in Durango. Approximately 44,000 in La Plata County. Durango was founded in 1880 by the Denver and Rio Grande Railroad, when they extended their line from Durango to Silverton in order to haul precious metals from high country mines. The Durango & Silverton Narrow Gauge Railroad now hauls only tourists. Last year about 200,000 people rode the Durango and Silverton Narrow Gauge Railroad. Durango offers a wide range of events throughout the year for all types of interests. Visit Durango.Orgfor the special event calendar. Butch Cassidy and the Sundance Kid, City Slickers, Cliffhanger, National Lampoons’ Vacation, Night Passage, Ticket to Tomahawk, Around the World in Eighty Days, How the West Was Won, and Tracker are just some of the many Hollywood classis filmed in the area. Durango Mountain Resort, formerly Purgatory Resort, is located 25 miles north of Durango. 1200 acres of terrain is served by 11 lifts with an average snowfall of 260 inches and 2,029 feet of vertical drop. Offer a wide range of summer and winter events and activities. The Alpine Slide, winding mountain slide, is open from early June to early September. Slot machines, blackjack, poker, video poker, keno and bingo are available at the Sky Ute Casino and Lodge, less than 30 minute drive from Durango. The Durango & Silverton Narrow Gauge Railroad has been in continuous operation for over 120 years. Two museums display at either end of the line. The Durango museum located in the roundhouse of the D&SNGRR offers 12,000 square feet of exhibit space with full-size locomotives, historic coaches, railroad collectibles, books, lamps, locks, art, photos and china. Guests also enjoy an up close view of the “Working” portion of the roundhouse, where skilled mechanics keep the train’s vintage coal fired, steam-operated locomotives in tip-top condition. The Silverton depot is home to an intimate mining exhibit and freight yard museum. Southwest Colorado is the archeological center for the United States. Explore the ancient dwellings once inhabited by the Ancestral Puebloans at Mesa Verde National Park. The park was selected by National Geographic Traveler as one of The Best Places of a Lifetime to Visit as well as named the #1 Monument in the World by CondÃ© Naste Traveler. Take a longer trip and also visit Crow Canyon Archaeological Center, Chimney Rock, the Anasazi Heritage Museum, Hovenweep. Canyon of the Ancients National Monument and the Ute Mountain Ute Tribal Park are also within an hour’s drive of the Durango area. Visit the Center for Southwest Studies, the Southern Ute Cultural Center, the Animas History Museum and Durango & Silverton round house museum. The Grand Motorcar and Piano Museum exhibits a million-dollar collection of antique cars. 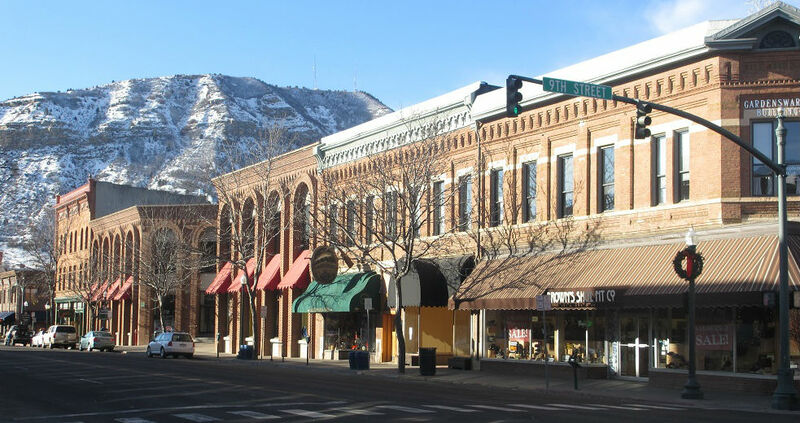 Durango offers a wide variety of art galleries and art walks. The 17,000 sq. ft. Art Centers sponsors multiple exhibitions year-round. Over 900 campsites within a 40-mile radius of Durango. Explore the San Juan Skyway or see the Durango area on a bike. Mountain bike rentals available. Durango is a renowned destination for mountain bikers. Fish in the “Gold Medal”Animas River, that runs through Durango or on any of a number of high mountain streams and lakes within an hours drive. Private “no license” ponds are also in the area. Guided trips available. Soar over the Animas Valley and San Juan mountains in the peace of a glider. Three 18-hole golf courses open May thru October weather permitting. Hike many maintained trails around the area. Trails for all age levels and abilities. Hourly, half day, all-day and multiple day rides. Fall color rides also available. Big and small game hunting during season. Over mountain passes to ghost towns and around Durango Mountain Resort area to the top of the world. Guided mining and backcountry and specialty theme tours. The Animas River is a nationally known river for competitions and training for the finest kayakers in the world. Short, day-long and overnight guided rafting trips. Half-day, full day and multiple day guided tours and rentals. Trails for all ability levels. Durango hosted the 1990 World Mountain Bike Championships and one of the World Cup Mountain Biking competitions for 2001. It was also named the “The Cycling Mecca” by Bicycling Magazine. Guided and self guided experiences to satisfy your challenging requirements. Public swimming at the recreation center, Trimble Hot Springs, the city pool and pools at hotel properties. Eat a real “Old West” supper and enjoy a western show at the Bar-D, an evening out for all ages. Large variety of one-of-a-kind stores as well as art galleries. Excellent dining. Year-round concerts and entertainment. Enjoy the Melodrama at the Diamond Circle Theater. Watch the cowboys and cowgirls at the Durango Pro Rodeo. Savor the beauty of the panoramic slide show Spirit of the Southwest.